In this article, consider Content Construction Kit or abbreviated CCK for Joomla. CCK is a powerful tool and a reliable assistant in the creation of the website. With it, you can create your own type of content outside of articles, for example CD album, hotel, an event, etc. The content type is described by a data model that can be matched by adding custom fields (location, text, image, number types, date, mail, etc.) Create a category for each created content item. CCK will be useful if you need a news channel or magazine with full control over the layout. You can add comments to your blog and expand the functionality. Catalog of products, business catalogs, job offer. CCK is a very flexible and customizable extension for Joomla with which you can solve many tasks. OS CCK is easy powerful Content Construction Kit for Joomla that helps to create various kinds of product catalogs, classifieds and listings. OS CCK Joomla extension is great solution for building website with rental products (cars selling, real estates, books and more) as it has built-in functional for creating and managing Buy and Rent Requests. Its simple to create website with Drag and Drop content Building. You will enjoy to building forms, pages and layouts using Drag and Drop layout builder in OS CCK. You create rows and columns and full it just drag and drop fields what you need (image, text, mail and any custom code what you need). The content created with the OS CCK will be displayed on all mobile devices with different screen resolutions. Your website should be optimized for mobile devices in order not to miss the clients browsing web from smartphones and tablets, so be sure you aren't missing any single customer. Hundreds of customization options such as margin, padding, background color, font color, font size and many more allows creating unique and beautiful Joomlawebsite with your own style. Apply style options to field, block (row or column) or to entire layout. We offer the most important and frequently used content fields such as text, text area, category, number field, checkbox, radio button and select list, image, gallery, audio and video fields, URL, location and others. More fields are coming soon. Create endless types of multicolumn forms and pages using a wide range of available fields and styling options. After a few simple steps your creation is ready for the public. If you're HTML/PHP/CSS/SCRIPT expert and willing to insert some code to the layout or form, you'll get ability to write a few lines of code right during creation a layout. A Layer on top of Joomla! Extend core Joomla objects such as Article, Category, User, User Group, User Note or any other 3rd-party components. Choose precisely which fields to show/hide for all your back-end forms, front-end forms, search forms, and list views..
You can create content types and forms with your own set of custom fields... in order to manage any kind of content such as: Blog Post, Event, Media, Place, etc. Control the display of any SEBLOD-based content while your clients focus on filling custom-built and user-friendly forms. Drag and drop your fields in order to set up professional layouts and list views such as Blogs, Charts, Maps, Tables... Use our ready-to-use templates or develop your own ones. Build online apps the way your business' needs require it. Much more than just a CCK, SEBLOD is a Web App Builder. Create complex forms using live values, conditional states, computation rules, custom scripts, triggers. ContentBuilder provides content construction without replacing Joomla article system. 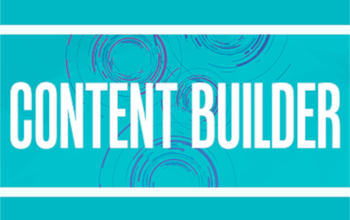 In fact, ContentBuilder creates regular content items which you may use on your site just like any other content - without the need for special plugins or core replacements. Additionally, you can use ContentBuilder to control user permissions for several actions, such as content access, content editing, article parameter settings, publishing, etc. I miss Form2Content in your review. 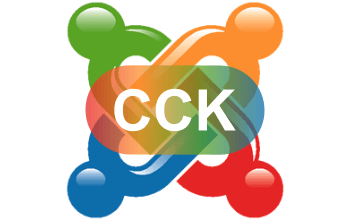 A really simple to use but versatile CCK, which creates regular Joomla! articles. Light weight and focused purely on creating regular Joomla! content.